HTC One pictures and specs leak ahead of launch | What Hi-Fi? HTC is expected to launch its new HTC One phone tomorrow, and speculation has turned to what HTC’s new handset will be packing under the hood. The Taiwanese mobile phone manufacturer has shown glimpses of its new phone on its website, but elsewhere supposed promotional photos (below, via @evleaks) and rumoured specs have emerged in anticipation of the official details. 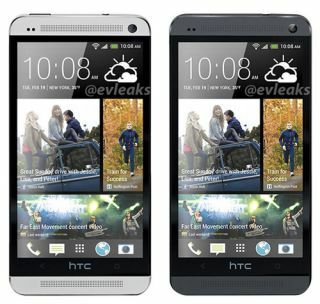 The HTC One (codenamed the HTC M7) will be available in both black and white variations with rumours suggesting 32 and 64GB storage. Rumoured to deliver a 4.7in, full HD display (468 pixels per inch), the 1.7GHz quadcore Snapdragon processor is expeced to carry over from previous models. Elsewhere 2GB RAM, a 13MP rear facing camera and 2MP front camera, is expected to be joined by the Android Jelly Bean 4.2 OS and a new iteration of HTC Sense. Sounds good on paper, and we've enjoyed HTC's Android phones before, such as the HTC One X and One XL – less so the Windows Phone HTC 8x – so we're interested to find out the full details. Either way, can it do enough to take on Google’s Nexus 4 and the iPhone 5? With the Blackberry Z10 and Sony Xperia Z also new for 2013, the smartphone market remains pretty competitive to say the least.